In 2018 we hosted an AWESOME event - the inaugural Spoon Carving Gala - while supporting a great cause - Women’s Woodshop and The Heartwood Turning Program. 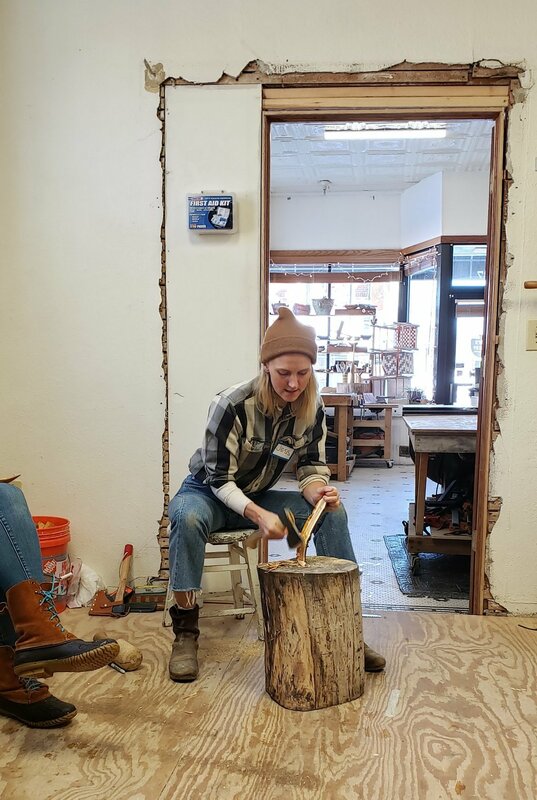 The Heartwood Turning Program offers free classes and scholarships to women and gender non-conforming folks who are domestic abuse survivors. It offers participants a creative outlet and basic wood turning skills, as well as a supportive community while living in transitional housing. If you’d like to donate to this important cause, click HERE! NEW IN 2019 : Last year this event hosted women and gender non-conforming folks only. THIS YEAR we made special arrangements so that ANYONE come! Thanks to everyone who made this year’s event such a blast! Through the generosity of our clients and friends, we were able to raise $680! The qualitative outcome is that 14 students will have free tuition for classes! These classes can make such an impact on those students and we are so proud to be a part of it! 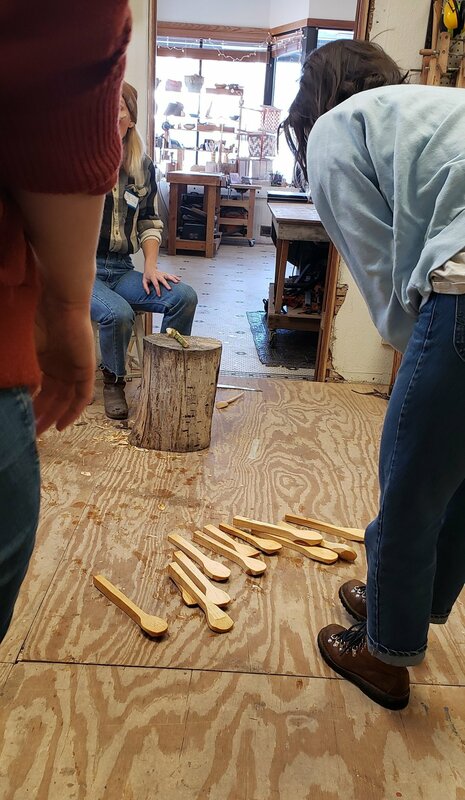 See below for all the fun we had at the 2nd Annual Spoon Carving Gala!